There was just something so odd about her. Eri has always been a bit harder to pin down than the other 9th gen members. Aside from her looking insecure at first, which is how most new members look anyway, I don’t remember a time when I could safely say, “Ok, she’s this sort of character”. When Eri-pon first joined, she chose a KY (kuuki yomenai) character. She would say that she wanted to be the number one idol in the world and scare people with her “magic spell” (rambling high-pitched nonsense and then saying “yay, I’ve succeeded”) to make you love her. That didn’t seem to really get her anywhere. Ok, so she was on Oha-Star, but that show had Koharu on it, so I stay far away. At least that gave us a glimpse of her one-handed cartwheels and her impressive biceps. Ahem. That didn’t seem to do much either. In fact, a lot of people seem to have thought that her unexpectedly joining a Niigaki-bus-tour as a fan and not as a contributor was just an attention grab. Ikuta Erina – golf star! Then things started turning sporty for our little golfing idol. I think golfing was just something she liked to do that became something she used to promote herself. Nowadays she seems to be regular guest in low-key celebrity golf games. Then seemingly out of nowhere came her gymnastics: back flips and cartwheels and stuff that I don’t think had ever been in H!P up to that point. Sure, she’d done things like that on other shows, but it had never been featured in a concert (to my memory, anyway). Eri-pon in recent years has adopted a more aloof persona along with her athletics. This one seems to be the one “working” for her. She’s the one doing all those back-flips at H!P concerts now. She’s started to be featured in the choreography whenever they split the girls into dancers and singers (ala Oh My Wish). I think as a dancer she’s a little bit stiff, but I’ve noticed that she’s beginning to make the routines her own. Usually when a member is ambitious she’ll spend every appearance trying to stand-out so that she can get more solo lines or a center part. As she does this, the initial shyness disappears, she gets comfortable in idol-life, and somewhere along the way she forges a character. Eri-pon took a while to be comfortable in front of cameras. As for character building, it feels like she always working on it. Now when it comes to character, there has to be a balance: if there are too many cutsies, or not enough genki, or a big bunch of Ikemens with no one to pimp, the group is going to feel bland and predictable. So far, in Momusu nowadays, everybody seems to have their own character and while some overlap slightly, they all still feel unique. Eri’s character has been hard to pin down for me though and I think it’s because her desperation to do things properly (respect senpai, stand-out, be cute and pretty and cool, dance and sing perfectly, be a good senpai and so on and so on) has never gone away. She’ll be totally confident for a moment and then that wince. You probably don’t notice it. Perhaps you believe she’s just confident enough. Arrogant, maybe. I mean from the beginning she’s watched all her generation mates get ahead of her in one way or another: Riho was instantly made the Ace and showered with attention; Zukki became beloved abroad and even if Japan could only talk about her weight, at least they were always talking about her; Fuku-hime was an instant favourite of Michishige’s and after a few years of getting duets with her, became the Post-Shige leader. Then, of course, there is the fire-storm of the tenth gen: lithe and derpy (but lovely) Iikubo, Ikemen-Kuudo, Dancing-Ace Ayumin, and the force-of-nature that is Masaki-kins. It seemed to shake her up a little. Yes, she got a t.v gig, but it didn’t last forever. Yes, she got on a radio show, but all the members get radio shows now. Yes, she’s in golf shows, but how many idol-followers watch golf shows? In one of the dvd magazines (I’d cite if I could recall), each girl wrote a poem to read during an M.C (I also can’t remember which tour it was). Eri-pon wrote an ode to the syllable ‘ru’. This precious little syllable was hers in the game-changing single, One.Two.Three. It was the ONE solo line she’d received in a single since her debut. It was just one tiny moment in which she could present herself without anyone else getting in her spotlight. Then as they started performing the single on TV she realized her part was on the second chorus, and the shortened version they sang always left out the second chorus. Every time she was on TV, she couldn’t sing her precious line. Oh, when would ‘ru’ return to her? It was funny, but also, you know, kinda sad. You aren’t sure if she’s joking or not. To give you some contrast here, Kuudo’s was about food. I don’t mean to suggest that she’s bitter, but there have been so many unguarded expressions. I’ve dubbed it the ‘Eri-wince’. Even if she isn’t actively wincing, her countenance darkens and it feels like all of her is smiling except her eyes. Mizuki has mentioned that Eri is the kind of person who will count how many solo shots or how much screen time the other girls have and she gets grumpy about it. 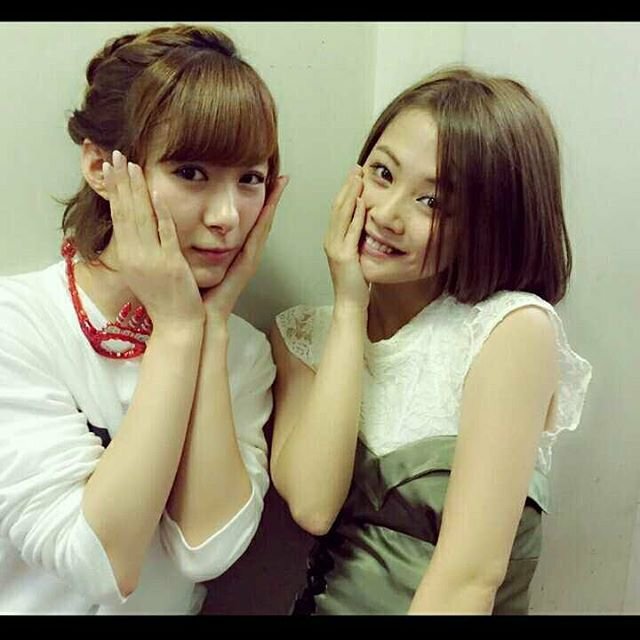 Many fans seem to notice that Eri also tries to “copy” the other members here and there. Why not, though? If it works for another member, why wouldn’t it work for her? It’s worth a shot, ne? Eri-pon is definitely grateful for her fans, but seems terrified to lose them (and ravenously wants more). She’ll say confident things like, “You’ve all surely seen my photobook and loved it, right?” while wilting like even she doesn’t really believe it. Part of this could be for comedic effect, or because it’s embarrassing to say things that sound arrogant, but like I’ve said, I notice it all the time. This isn’t just me trying to bring her down, or be overly dramatic; it’s making me kinda concerned. Eri-pon has no reason to be wincing: she’s athletic, adorable, incredibly photogenic, diligent in her singing, dancing, and Niigaki fandom, and despite her grumpiness, she’s been getting a lot more spotlight as a solo dancer and acrobat. She may not have the best voice, but she sings so seriously. It’s very endearing to me. Sure, she some times is off-key. Sure, she some times bellows and she tends to freeze when she sings her lines, but don’t you see the concentration? She is so very focused on getting it right! The more she trains up that vibratto, the prettier it’s gonna sound. She’s even been described as a senpai who takes care of people behind the cameras. Yokoyama and Kaedi keep saying she’s the senpai who seemed scariest, but ended up being the most kind. Because of things like this, some fans insist she’s going to be an amazing leader, if ever given the opportunity. We’ve had a lot of characters in Momusu who enjoyed self-promotion. Ishikawa Rika, for example, made it an art form. Yasuda was the most bullied member of all time and she happily used it as a tool (along with her epic photo-bombing skills). All the girls are like this to a certain extent, but you don’t usually see their inner monologue about whether their attempts were successful written all over their faces. Of course, as I tend to do, I’m probably reading far too much into things. It’s not like idols never let their guard down here and there. For example, I don’t think Masaki-kins has an on-off mode at all; if she’s bored you’ll see it on her face and she’ll say it straight out. Eri-pon doesn’t wince every now and then. It happens every time. So, do I think she’s unhappy in Momusu? No, not exactly. It just seems that whatever it is she’s looking for, she hasn’t found it yet. It could be something in her private life, of course, but it seems work-related. Perhaps she just wants the world: all the fans, all the lines, all the work. She seems burdened sometimes with the idea that she has to be the BEST at everything. There’s nothing wrong with that sort of drive, but perfectionism wears on you. There will always be an ace, or the best senpai, or the funniest member, or an acrobat who can do more back-flips. It’s also hard if your job insists that you act silly some times and being silly makes you feel embarrassed. I don’t think Eri-pon likes being silly as much as the others, unless they’re all together in a big group. It’s like she isn’t quite sure how to do it and she’d much rather be cool. Eri hasn’t been able to really settle on a character. At times, it feels like she’s trying to be what she thinks will be popular, but it goes against who she really is. It’s always a better idea to accentuate an aspect of yourself rather than invent one, but I understand why she’s experimenting. Maybe she doesn’t feel like her true self is appealing. Maybe she thinks it’s not very idol-like, or at least it’s not going to make her a ‘national’ idol. Lately, if I were to describe her character, I’d say she’s a bit aloof, because she’s a jealous senpai, who doesn’t want to be a jealous senpai. Because she’s so jealous, she tries to be an admirable example and take care of her kouhai since it would be bad if they knew. When she knows she’s good at something, like golf, or acrobatics, she immediately tries to incorporate those skills into her work. Eri-pon has studied everything about being an idol and she wants to perfect all of it: dancing, singing, posing, variety, etc. You name it, Eri is working on it. But she isn’t perfect yet, so some times, she just isn’t sure. And I think that’s a spectacularly unique character. Ravenous, hard-working Eri-pon! In an interview from 2015, Eri-pon said that she had finally learned how to enjoy concerts (after five years of being in the background). She also mentions that she’s aware of her singing abilities (or lack thereof) and how unique and powerful she felt when she realized no other idol could have sung her lines while doing a one-handed cartwheel. She’s always working hard, people. Please be happy now, Eri-pon! In the first single of this year, Brand New Morning, Eri-pon got another solo line. Now, this line was in the second verse, which is almost never performed on T.V, but even so, I felt like it was a triumph for her. It was a thousand times better than her solo line in 2016’s Tokyo to Iu Katsumi and more polished than her (still lovely) line in Mukidashi de Mukiatte. Her voice is sweet and soulful. It gave me goosebumps. …When Fuku-hime does her earnest face. Believe in the future, Eri! Yours is bright, indeed! She’s my favourite member. I wish I had a better way to support her. When I went to Japan last year I bought only her merchandise at the Hello Project store in Akihabara.